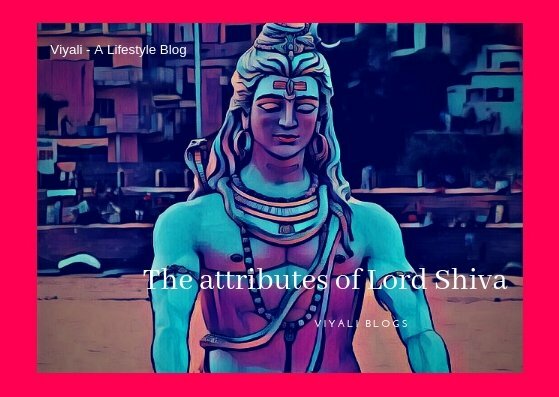 In this post, we have explained why Shiva is known as Vishnu-Vallabh? Post contains a story when Lord Shiva comes to Brij for Krishna darshan. Sometimes words are not enough to describe the affection between Lord Shiva and Lord Vishnu. 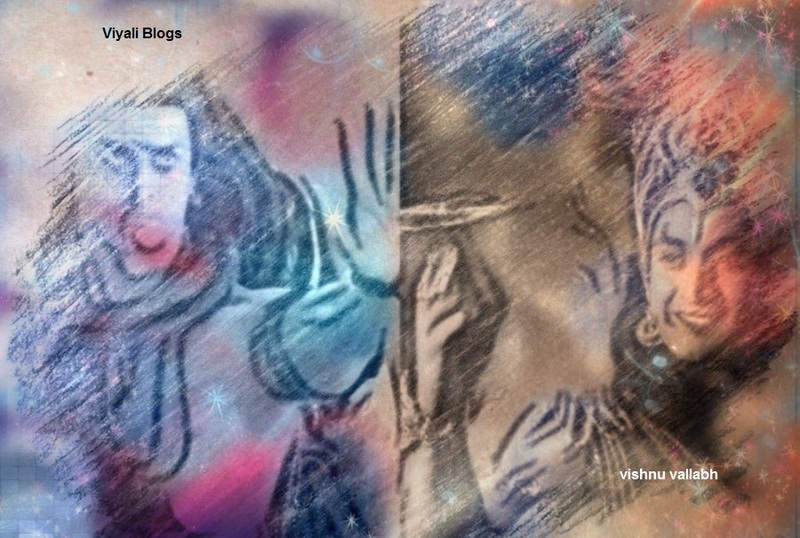 How can someone ordinary person like us describe the affection between Vishnu and Shiva? Still, we tried to describe it, but before that Let us first understand the meaning of Vallabh, which means ( most lovable || अत्यन्त प्रिय). Let's get started to know why Shiva is known as Vishnu-Vallabh. The bond of affection is so strong between Lord Shiva and Lord Vishnu that they can not live without each other. Both have immense love and respect for each other. Puranas defined that Lord Vishnu meditates Lord Shiva while Lord Shiva meditates Lord Rama. Lord Rama is the incarnation of Lord Vishnu. Both are devotees as well as God for each other. Shiva - "Vishnu is my heart whereas I am Vishnu's heart as the body cannot survive without a heart the same way we cannot live without each other." Puranas defined Lord Vishnu as a manifestation of Shiva's half Body. Puran also describes us that Lord Shiva holds Lord Vishnu in his Left part of the body. Once while worshipping Lord Shiva with thousand of lotuses, Lord Vishnu even offered his lotus eyes to Shiva. In return, Shiva gave Sudarshan Chakra to Lord Vishnu. The bond of friendship is so intense between Shiva and Vishnu that when Once all the demigod went to Lord Shiva for a marriage proposal. Shiva rejected their proposal but on request of Lord Visnu Shiva accepted the same recommendation. Dear friends we all know sankat mochan Lord Hanuman's affection with Ram Naam. When Lord Vishnu took birth on earth as Ram; Lord Shiva's Incarnation Hanuman served him as his greatest devotee ever Whereas Rama worshipped Shiva as Param Brahma. Once upon a time, Lord Shiva was meditating. Son of Brahma Narad reaches to Mount Kailash abode of Shiva and hails Lord Shiva. Shiva opens his eyes slowly and asks with a smile. Shiva: You are looking so joyful Narad, what happened? Narad: Oh My Lord, you know everything that these days I use to live on mother earth where Lord Krishna is in his childhood phase. (Lord Krishna incarnation of Lord Vishnu). Lord Shiva mesmerized internally after listening about Lord Krishna childhood. He says to Narad. Shiva: Narad after listening about Lord Krishna Childhood, A feeling of craving to meet Shri Krishna in his childhood has grown in my heart. Narad: Oh My Lord, you are the supreme consciousness; May I ask you something? I always see you Meditating; may I ask you whose name you are meditating? Shiva: Dear Narad, I am meditating my Swami name. Who is none other than Lord Vishnu's avatar Rama? In that way, I am meditating upon Vishnu. Narad:: Oh Lord, this is strange to understand for me that who is whom Swami (master). In Ram Avatar, Lord Vishnu worshipped you all his life. Whenever I talk with Lord Vishnu; He calls Shiva his Swami and here you are telling me that Lord Ram is your swami. I will not come in the influence of your Maya. After all my lord you both are one; No one in this universe has the acquaintance to define this bond between you and Lord Vishnu. Shiva: Narad, description of every relationship built on affection is not possible. After this reply to Narad, Lord Shiva Disappears from Kailash Parvat and takes the apparel of a sage and reaches to Gokul at Nand and Yashoda Home. Shiva Reaches to Yashoda's home and chants Alakh Niranjan which means the Formless God. In simple words, Alakh Niranjan refers to Attributeless God which later on get connected with again Lord Shiva. Lord Vishnu from Vaikuntha calls up YogMaya and say her. Vishnu: Devi (YogMaya) my Swami, Lord Shiva is arriving at Gokul. Yogmaya with a smile in her face replies to Lord Vishnu. Yogmaya: As you say, swami. On the other hand, Shiva was waiting outside the Yashoda's Home and chants Alakh Niranjan continually. But Yashoda was busy playing with baby Krishna, so she doesn't pay any attention to outside sage. Lord Shiva politely ask Lord Vishnu Where are you, swami? I will not leave from here without meeting Krishna in his childhood phase. A neighbor of Yashoda listens to the chant and thinks that no one is in the home. She enters to Yashoda home and hails the sage. Neighbor: whom are you calling Rishivar? Sage: I am calling the lady of the house. Neighbor: I hope you are calling house lady for alms [Bhiksha], but seems like no one is in the home. Please come with me to my house. No sage can leave our village without any alms. I will give you the donations including Food, dresses, financiers. Sage: Mother today I cannot come to your house as per my rule. If house master doesn't give me alms; I return empty handed and wait for the next day. Neighbour: Ohh so there are chances that today you have to return empty-handed because I think Yashoda is not in the home. Sage: As Lord Vishnu wish. Neighbour: Please let me see whether Yashoda is in the home or not? If not then where she is? She enters the Yashoda house. Neighbour: Yashoda a lustrous sage is waiting outside your home for his alms. Before that Yashoda, I want to tell you that he seems to be so extraordinary his forehead is so shiny. Yashoda: Ohh really, What a great moment for us. Let me arrange alms for him. I took some food, clothes and some money it will be enough for two days for him. Sage: Swami, please don't hesitate to show me your childhood avatar. I am your devotee, Narayan. Vishnu: Swami this moment is so special for me that you came to your devotee house. Please accept my salutations. Vishnu folds his hands with closed eyes. Sage: Who is the swami, Who is the devotee, Let's not get in this debate. Please accept my request as your devotee and kindly Show me your Childhood phase. Vishnu: My Childhood phase (little Krishna) is right now with Mother Yashoda. Swami Mother Yashoda looks after him. My Swami look mother Yashoda is coming near you. Yashoda comes out of her house and greets the sage with a smile on her face. Shiva gives the blessing to Yashoda. Contemporary part of the story is exceptional; it fills you with ecstasy. The supreme consciousness Lord Shiva himself request's mother Yashoda to allow him to see the face of little Krishna. That is why Mother place is always above God. Yashoda: Please accept my apology for being so late for your alms. I was busy with my baby Krishna. Sage: Mother your son is unique, Please allow me to see your son; I have been waiting so long to meet your son. Yashoda: I am sorry sage; I have given the shower to my son, I can't take him out since breeze is cold here. Sage: Mother the one who controls the flow of breeze for him; please don't have a Doubt. Just show me the face of your son once. To meet your son, this craves made me visit your house. Yashoda: No sage; I can't take him out, you please take your alms, and leave. Sage: Mother, these Gold- diamond, food, clothes are worthless for me. These are like stone pieces to me. I have no interest in them. Instead, I can give you these as many you want. I have just come to see your son face. Yashoda gets scared and states to her neighbor that, you were right, he is not an ordinary sage. While saying all these stuff to her neighbor, a teardrop comes out of her eyes. Yashoda: Sage, Several people have come before you, They demanded the identical way as you are asking. Firstly they request to meet my son and speaks well about my Krishna that your son is a divine child. Let us see his face once. Later on, they try to hurt my little Krishna. I will not take him out of my house to show you his face. Please take this alms and leave. Sage: Mother don't be harsh on me; I have come from far Kailash to see your son. Yashoda: If you have come from Kailash why didn't you stayed there and took blessings from Mahadev? My husband ordered me not to bring Krishna in front of strangers. 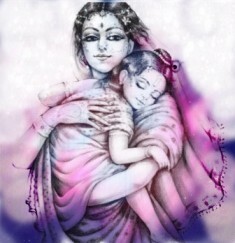 Sage: Mother taking blessing from God is not impossible but to meet Krishna in his childhood is very difficult. Suddenly Yogmaya enters the house. Yogmaya: He is not stranger Yashoda. I know him since very long. He is from Kashi city and lives in the Himalayas. Yogmaya falls in the feet of Sage and touches his feet. Yashoda was viewing it all and gets amazed. She had never seen something like this before that Yogmaya falling in feet of a sage and touches his feet. After all, Yogmaya is a mystic old lady whom she knows from many years. Yogmaya: Yashoda trusts me, bring Krishna here. After getting the blessing from him, even your baby will be more happy and blessed. Yashoda: But his dress is weird; what if my Krishna gets afraid of him? Yogmaya: My dear Yashoda by just taking his name all the sorrows and fear disappear. Trust me, daughter, I never lied from you. Just bring out your Krishna, Let him meet your son. Yashoda brings out her son and sage sees the first glimpse of the child. Sage smiles and blesses the child. Sage: Mother if you allow can I touch your son's feet soil. Yogmaya: But before that baby, Krishna wants your feet soil. Yogmaya puts sage feet soil to baby Krishna forehead. Viewing from Vaikuntha Vishnu gets delighted. Vishnu: Thank you, swami, I can feel the ecstasy which is beyond everything else for me, Thank you for such a lovely gift in my forehead. Sage: This is not done my Swami; please do justice to your devotee. I was waiting for your foot soil. Please let me allow once to touch your feet so that I can feel that ecstasy. I have been waiting for this moment since so long. Both give regards to each other with down eyes; Yogmaya plays her role quietly. She stops quantum of time Chakra and everything stops; Shiva touches the feet of Baby Krishna, and Yogmaya continues the time flux. Yashoda was unaware of what happened in paused time. Sage turn around and start walking distance, but Yashoda sounds him. Yashoda: Sage you forgot your alms. Sage: Mother you already paid the alms to me. Now I need nothing. Sage returns to Mount Kailash as Shiva and Nand Krishna Father enter the home. Yogmaya states Nand to touch the soil where sage was standing. Nand touches the soil and feels blessed Yashoda feels delighted and ask Krishna. Yashoda: Who are you Son, sometimes monsters, sometimes yogis come to meet you. Vishnu: Om Namah Shivaay, Accept the salutations of your devotee my Swami. After seeing Lord Vishnu saluting to Lord Shiva. In Vaikuntha, Laskshmi ask Lord Vishnu What is the reason behind so much humility and humbleness Swami? Vishnu: Sri for me my Swami came to my house with bare feet; That is something very special to me. As Shiva never takes birth in the earth so I can never be able to fill this dividend, so Shastra says when a person is not able to pay the dividend. He only needs to salute the person for his dividend. Thanks for reading the post. Please feel free to share it.